A replica of the original hand-carved mahogany plaque, the Ten Eyck Trophy pays just honor and respect to James Ten Eyck, Syracuse University's revered and famed crew coach from 1903 to 1938. The trophy is given by the Syracuse Regatta Association. 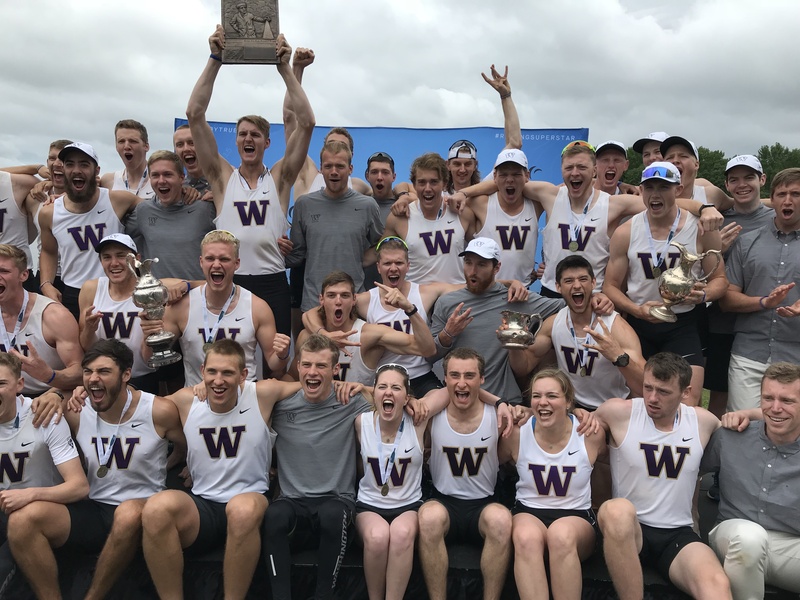 From 1952 through 1973, the trophy went to the university amassing the largest number of points in the varsity, junior varsity and freshman eights. Starting in 1974, all races counted in the scoring under a system adopted by the coaches of the Eastern Association of Rowing Colleges. In recent years the scoring system has been amended so only three of the four possible eights from each school are reflected in the point standings. The total number of points for each race will be divided by the number of crews entered and awarded accordingly. As an example, the varsity eight race carries the highest amount of points, 90. In the case of a tie, the team finishing highest in the varsity eight race would receive the James Ten Eyck Trophy.